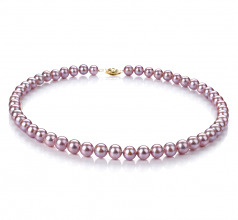 The 7-8mm sized cultured freshwater pearls compliment the wearer without overwhelming her natural features. With a AAA luster, the almost perfect brilliant shine will bring out her natural glow and brighten her eyes. 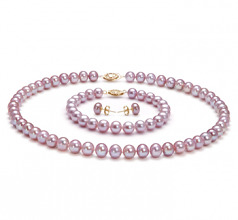 She will be noticed and so will the Lavender 7-8mm AA Quality Freshwater Pearl Set. Overall, a wardrobe always needs that one set that can work the magic like no other can. There are those times when you need a one set fits all and this one is your choice. 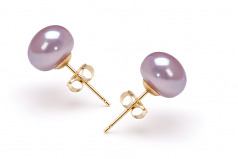 It’s subtle when combined with your soft colors and clearly noticeable when layered on your darker hues. How much you are noticed is clearly up to you.